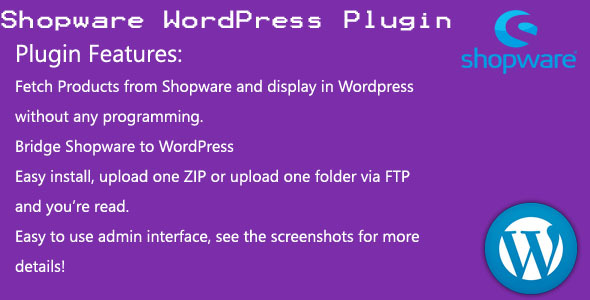 This plugin help you to fetach Shopware products and display into WordPress. so you can display anywhere you want in your WordPres. it’s Super easy to install and make it working. Fetch Products from Shopware and display in WordPress without any programming. Your Shopware products you may display in your WordPress plugin. you can do with using shortcode. you have to just add categroy id and Limit. Download Plugin zip file and extract it in your Plugin Directory. If you have any questions or requests, please contact us at shopifymaster007@gmail.com We are very happy to assist you.